but we hope you'll want to learn more by talking with us. We provide exceptional care for all and create healthy communities. Those are not just words, but our mission. We make everyday decision and long-term strategic plans with our mission in mind. We have been on our journey toward excellence for many years, and while we have made numerous improvements throughout our organization, we realize that we will be constantly improving in every aspect of our care. 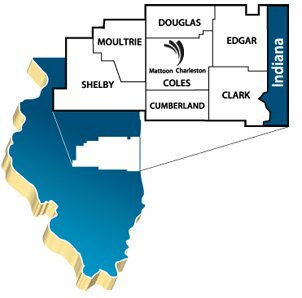 Sarah Bush Lincoln is a 128-bed Joint Commission-approved facility that serves approximately 154,000 residents in our seven-county service area. A regional and rural hospital, we provide high quality comprehensive healthcare services including a Level II Emergency Department, a Level II Perinatal Unit, a Regional Cancer Center, Behavioral Health Services, Surgery Center, Cardiac Cath Lab, Advanced Wound Center, and homecare and rehabilitation services. We are on the forefront of health and have designated ourselves as a smoke-free organization. The Health Center boasts a talented and dedicated staff of more than 2,350 employees and an active medical staff of more than 175 medical staff members representing 36 specialties. We have extended campus locations in 10 communities and a homecare agency that cares for community members in 15 counties. We have developed a hospitalist program to ensure gold standards of care are used throughout the hospital. Baldrige Journey - Sarah Bush Lincoln was honored with the 2011 Illinois Performance Excellence Gold Award for Achievement of Excellence, the highest performance improvement award in the state. Since the first awards were given in 1995, there have been only four healthcare recipients of the gold-level award and we were extremely honored and humbled by it. We have been on this performance improvement path for several years and are using this learning opportunity to improve our performance on all levels and will submit an application for the national Malcolm Baldrige Award in 2016. Patient Experience Scores - Since beginning our Excellence a Way of Life journey in 2007, we have made great strides in implementing and hardwiring practices to impact our patients' experiences. Nationally, nearly all of our patient care areas surveyed rank above the 75th percentile with several of our surveyed areas ranking above the 90th percentile respectively. Our entire staff is aligned and working to provide exceptional care to every person, everytime, every where. Quality - A team of clinicians are focused on improving our quality measures, and they have done quite well. Through Value-Based Purchasing, we have outpaced other hospitals in the nation and received substantially more in Medicare reimbursement dollars. We are vigiliant in this area because the quality of care of the patient is what is most important to us. Safety - Ensuring the safety of patients and employees is essential in providing excellent clinical care in a comforting environment. Through the creation of Team Up for Safety, Sarah Bush Lincoln implemented several error prevention tools and leadership methods to eliminate preventable harm to patients and employees. All employees are required to participate in training to fully understand the error prevention tools and safety behaviors, including how to use them effectively. While SBL already employed safety processes in the care of patients, it began looking at safety through a new lens with the help of Healthcare Performance Improvement (HPI) to create SBL’s culture of safety program. HPI specializes in organizations eliminating preventable harm by hardwiring safety behaviors and practices that encourage teamwork, accountability, and improved communication. Advanced ICU - Sarah Bush Lincoln began working with Advanced ICU Care in February to bring intensivists, doctors who specialize in caring for critically ill people, into the CCU to enhance the physician’s care at the bedside as they oversee all Sarah Bush Lincoln CCU patients through a television-like monitor. They monitor patients’ vital signs, EKGs, lab reports, radiology reports, medications and blood pressures, and they consult with in-unit staff to avert additional crises, including often dangerous and complicated transfers to other hospitals. Proactive data management tools – another essential element of the telemedicine system – identify problems before they become urgent, prompting immediate intervention when necessary. Through the two-way monitor, intensivists can talk with patients, family members and staff to glean additional information and address questions and concerns. Technology - Long before healthcare reform, we were implementing an electronic medical record throughout our Health System. We are transitioning to the Cerner System for greater resources it promises and east of use. It is expected to be implemented in late 2016. All of our primary care and many of our speciality care physicians use an ambulatory electronic medical record in everyday patient care and the systems are integrated. Our staff uses bedside bar coding to ensure greater patient safety and we use CPOE (Computerized Physician Order Entry) and have a fully implemented Picture Archiving and Communication System. We have an e-prescribing system that automatically sends the prescription to the patient's preferred pharmacy and queries for prescriptions from other pharmacies. We offer patients a portal to help them manage their health and online services to resolve their statements. We have been a seven-time recipient of the Most Wired Hospitals award. Sarah Bush Lincoln hit all the triggers to capture the maximum dollars for meaningful use. We hope you'll take a few moments to look at what we have to offer you and consider growing your career at Sarah Bush Lincoln.